The story of Boudica, the British queen who led a rebellion against the Romans in Britain, is well known, one of the most celebrated acts of resistance against the Roman empire. It is also a useful case study in how imperial states and conquered peoples interact with one another. 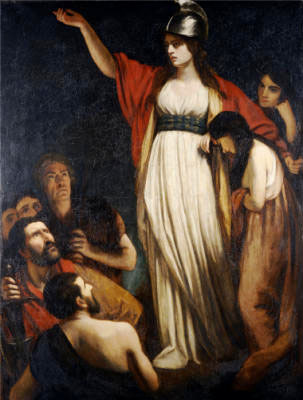 Boudica was the wife of King Prasutagus of the Iceni, a tribe in eastern Britain. Prasutagus was an ally of the Romans. Like many other local leaders, he had supported the Romans in their conquest of southern Britain in return for Roman support for his own position as king. Prasutagus wanted to secure the same relationship for his daughters when they inherited his position, but when he died the Romans did not follow his wishes and moved to take direct control of Icenian territory. Starting in 60 or 61 Boudica led a revolt on behalf of her daughters that quickly gathered support from all around Britain. The main force of the Roman army in Britain was then campaigning in Wales. The rebels first targeted the city of Camulodunum (modern Colchester, in eastern Britain north of London) which had become a focus of British resentment because of the number of Roman army veterans settled there and the temple to the emperor Claudius which had been built with British tax money. The city was systematically destroyed and the small number of forces which had been dispatched for its defense were wiped out. The rebels moved on to sack London and nearby Verulamium (modern St. Albans), two more important Roman centers. By this time, the Roman governor with his army was moving to oppose Boudica’s forces. Nevertheless, she persisted. The two armies met somewhere along the main Roman road that connected London and the ports in Kent with the frontier in northern Wales. The precise location of the battlefield has not been identified. Despite heavy fighting, the British forces were defeated and the rebellion came to an end. The conflict between Boudica and the Romans represents the kind of fundamental misunderstandings that happen between imperial powers and the peoples over whom they rule. Prasutagus expected the Romans to respect his wishes, accept his daughters as his heirs, and continue the client state relationship that the Iceni had enjoyed under his rule. He thought that he could deal with Rome in the same terms as he would deal with a rival British king and that the Romans would respect the same customs and practices that were common in Britain. The Romans, for their part, misunderstood the British. They did not conceive that Prasutagus’ daughters could be worthy partners in political matters or that Boudica could present a serious military threat. Further, they badly misjudged the level of discontent among the people of Britain. If they had grasped the speed with which Boudica would be able to assemble an army hundreds of thousands strong, they would not have risked leaving the core of the province so poorly defended. Since no British account of the uprising survives, we are dependent on Roman sources for information about it and these Roman accounts show another layer of misunderstanding. The two principal recountings of the revolt offer two different reasons for its beginning. The historian Tacitus claims that the local Roman officials charged with taking control of Icenian territory beat Boudica and raped her daughters. The historian Cassius Dio instead asserts that Britain was driven into revolt when large loans that had been made to the local people were all called in at once. Both of these accounts are suspect. For Tacitus’ version, it was an old Roman custom to explain difficult political events with stories of mistreated women, from Aeneas’ callousness to Dido (which explained the enmity between Rome and Carthage) to Antonius’ infatuation with Cleopatra and abandonment of his marriage to Octavia (which explained the last Roman civil war). 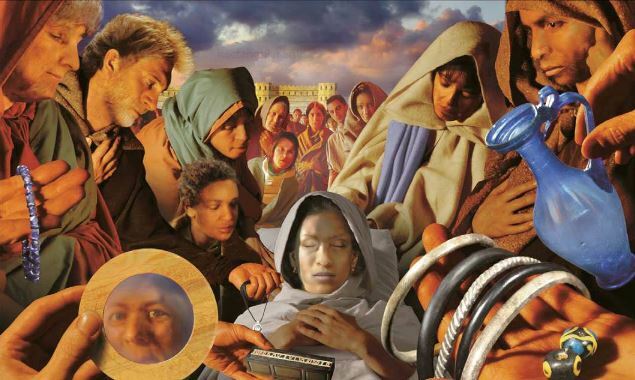 As for Dio’s story, money-lenders had a bad reputation in Rome and their underhanded practices were often blamed for fomenting unrest. In both cases, shifting blame away from the Roman administration itself—onto moneylenders or minor local officials—preserved the honor of the Roman state as a whole. The Britons weren’t really rebelling against the imperial system, these sources say, just venting understandable anger at individual acts of abuse. The scope and swiftness of the revolt, however, suggest that there was much deeper and broader resentment in Britain than Tacitus or Dio was willing to recognize. Boudica’s uprising was the final push on a boulder that was ready to roll. While not all Britons had royal inheritances to contest, many people in the province must have faced problems not unlike Boudica’s. In the early 60s, Britain had been under Roman rule for a generation and, as in Prasutagus’ family, around this time the generation that had lived through the conquest was giving way to one that had grown up under the stresses of Roman rule. Generational experiences make a difference and the forces that one generation was willing to live with on negotiated terms, the next may find intolerable. Britain is not the only place where the Roman empire faced revolt in the post-conquest generation. 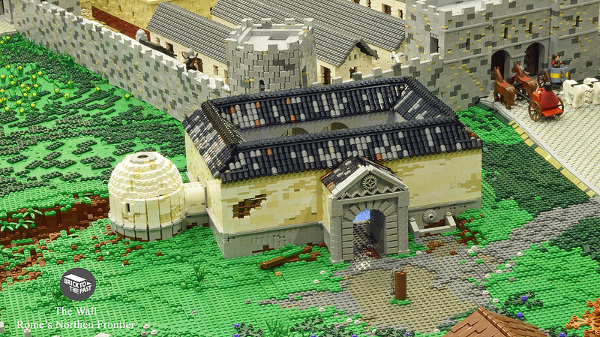 Brick to the Past is a British Lego-building group that bases their creations on historical landscapes and architecture. 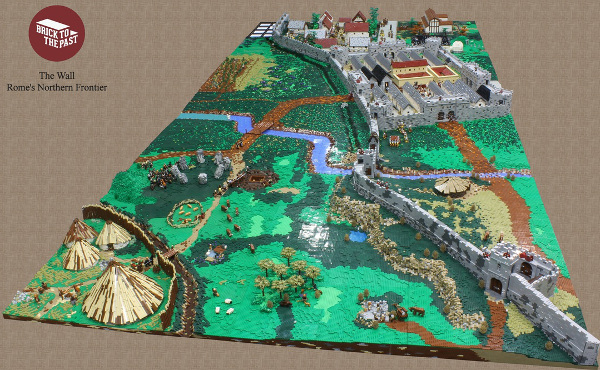 One of their builds from last year was inspired by Hadrian’s Wall. The layout combines a stretch of wall, a Roman fortress and town, a milecastle (one of the fortified gateways placed at one-mile intervals), and a native village. 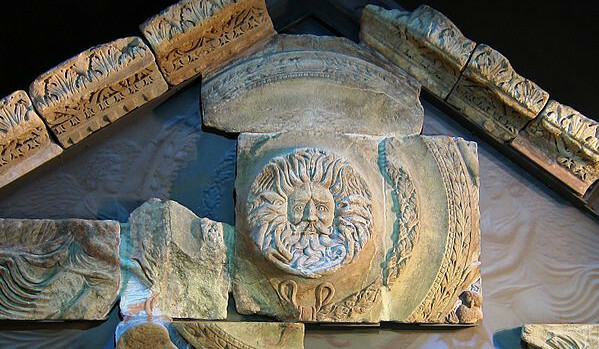 The buildings are full of delightful details and clever Legosmithing, like the use of a cogwheel over the main door of the bathhouse to represent the wild-haired head that was often associated with springs and baths in Roman Britain, like this fine example from Aquae Sulis (present-day Bath). Hadrian would be proud. 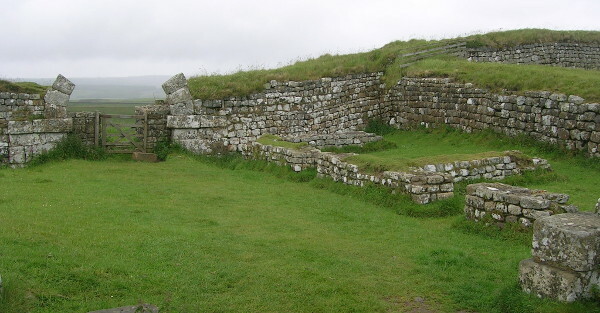 Here’s a picture of the original, from Milecastle 37. They do kind of look like Legos, don’t they?